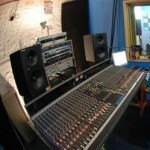 Tags: Audio interface for recording, Live band recording. However if you are looking forward in capturing great sound quality; you should be using an external audio interface. This type of audio interface would not be mounted internally (like your old motherboard audio chips or PCI soundcards) but it would be connected to your computer via Firewire or USB bus. For Windows users and beginners, it is easy to start with an USB Audio interface since they are fairly common and easy to install/integrate in all PC’s and laptops. 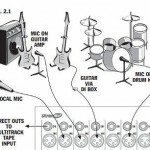 If you do not have an external audio interface, you can read this post for guidance. b. 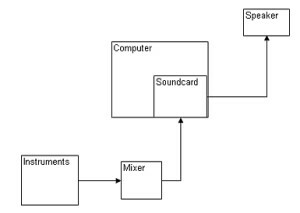 (OPTIONAL) Audio mixer – you might have one at home, so you can use it to record sound to your computer. But this is optional and you do not need to buy one. If you need to buy, you can read this post. 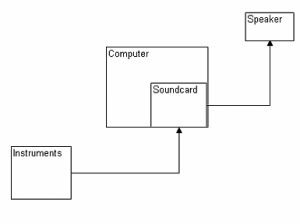 This is very basic, the instruments (could be anything) is plugged into the microphone/line-in input of the soundcard. 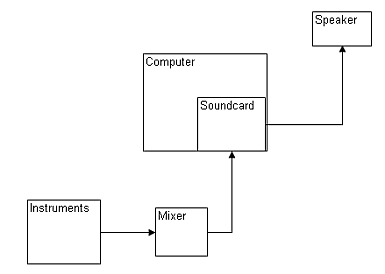 The audio recording software in the personal computer takes charge in the recording process. And then the soundcard output is connected to the computer speakers for monitoring. b. Low amplitude or very weak signal. This is only recommended to record voice signals such as an amateur voice tape recording but this is not recommended for professional recording. 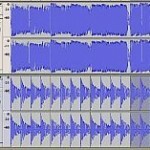 You can use Audacity using this setup. You do not need a sophisticated or multi-track software to get this job done.